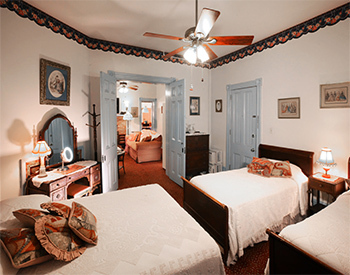 When you choose lodging at Antoinette’s in Cape May, New Jersey, you have the option of four charming one- and two-bedroom Victorian apartments/suites, all located within the main house. 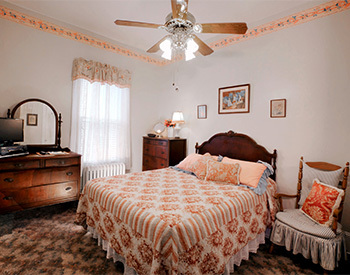 These units have been dedicated to four of Antoinette’s daughters, Filomena, Maria, Lucia and Peppenelli, complementing the third-floor owners’ quarters which was dedicated to her son, Antonio. A complete description of these accommodations is found below. 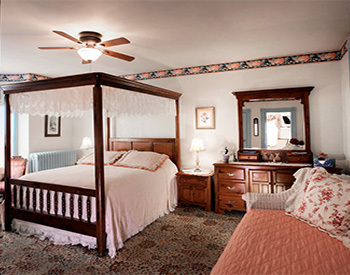 Your innkeeper, Deanna, lives on-premise to meet your every need, and the Inn stays open all year. Our house is a smoke-free environment with smoking permitted in patio areas. Just email us at deanna@antoinettescapemay.com or give us a call at 609-898-0502 for information and/or to make your reservation. 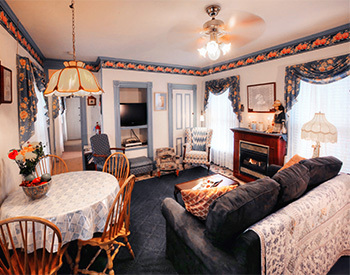 Feel at home … away from home and join us at Antoinette’s Apartments & Suites for pleasurable comfort and a relaxing getaway in historic Cape May. Antoinette’s keeps our daily availability on the website. To access, just “CHECK AVAILABILITY.” This information is kept up-to-date for your convenience. See our house amenities here.